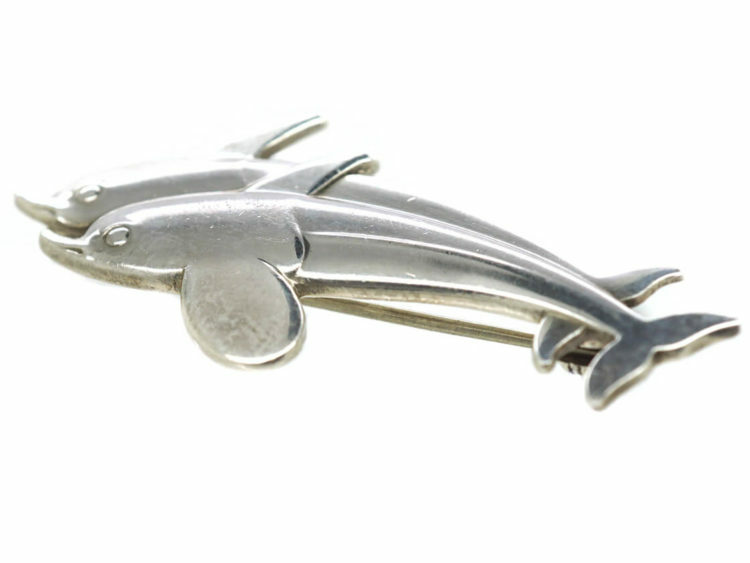 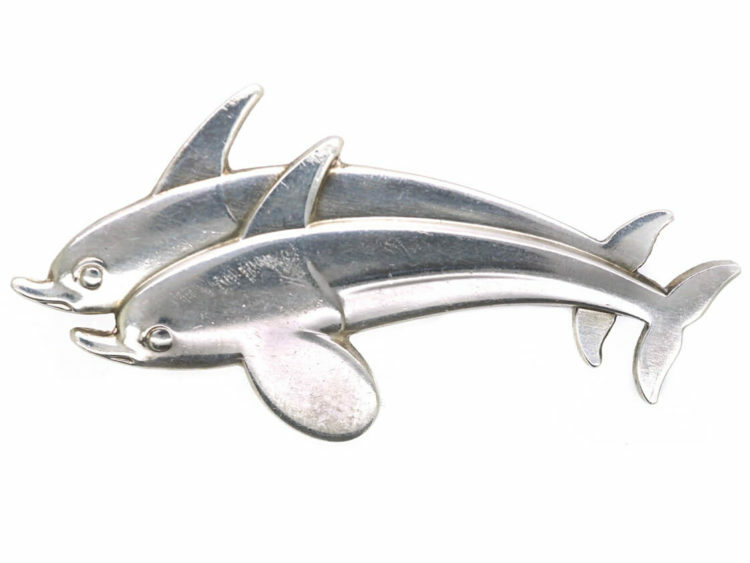 A silver brooch made by the firm Georg Jensen, depicting a pair of dolphins. 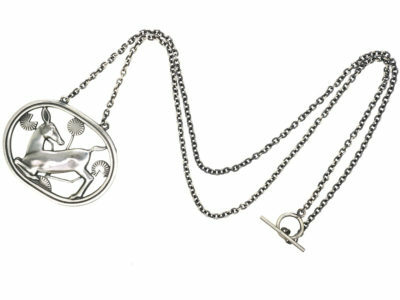 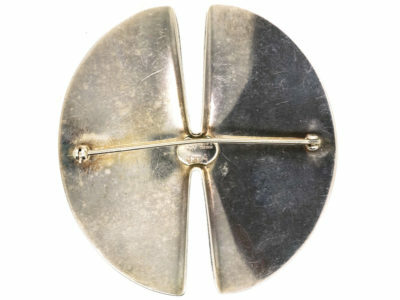 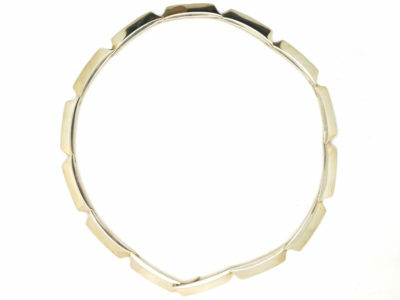 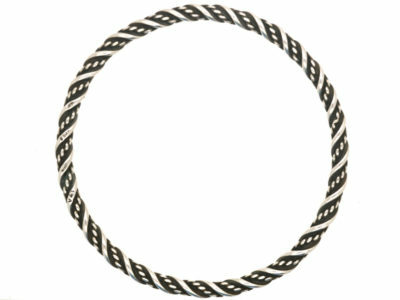 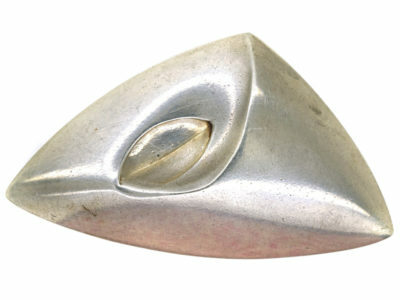 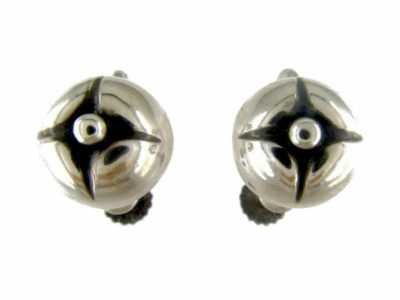 It was designed by Arno Malinowski (1899 – 1976) who worked at Georg Jensen in Denmark from 1936 – 1944 and again, from 1949 – 1965. 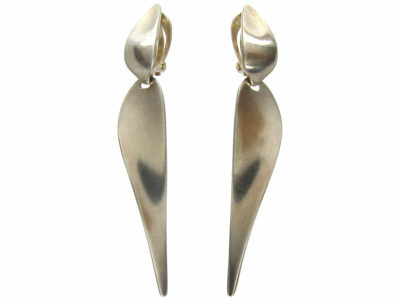 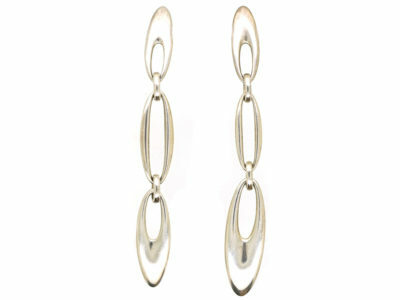 Malinowski participated in many exhibitions and won numerous awards for his designs. 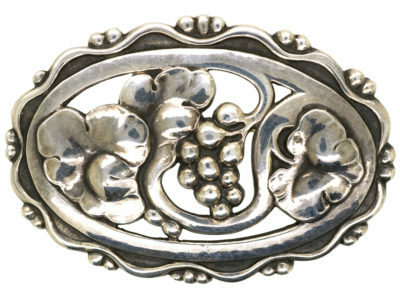 He received a silver medal at the Paris World Exhibition in 1925, the Eckersberg Medal in 1933 and the Carlson Prize in 1936. 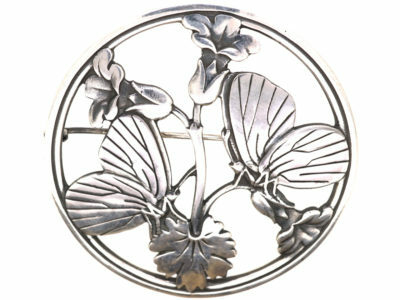 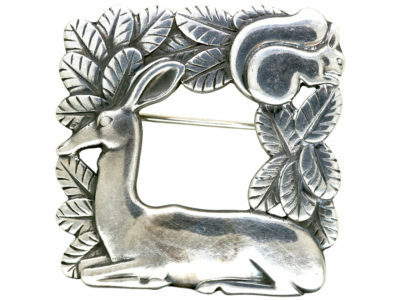 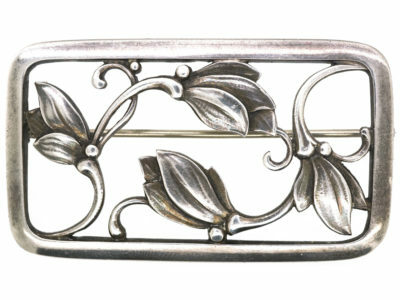 This brooch is one of his most popular designs.